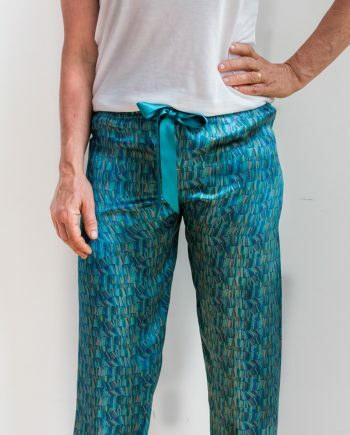 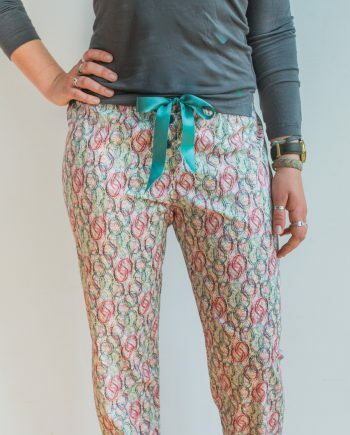 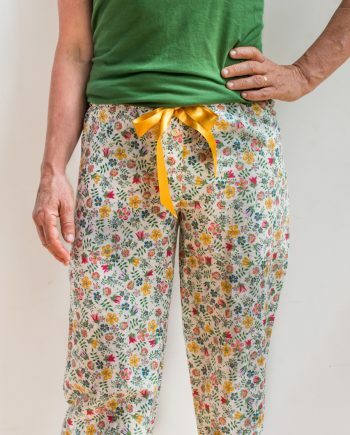 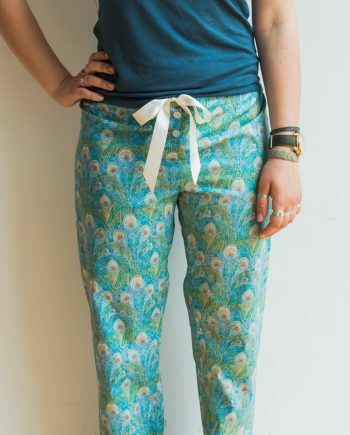 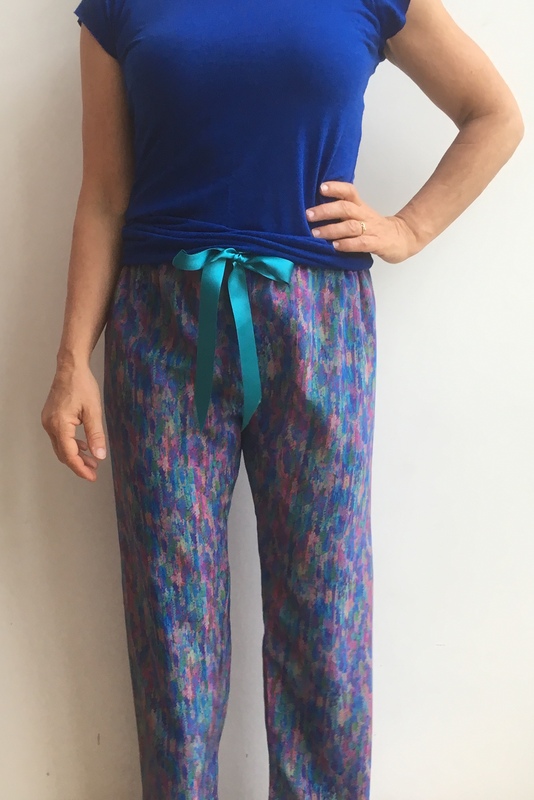 Light Liberty silk crepe pair of pyjama bottoms/lounge pants in an abstract design in blues, greens and pinks. 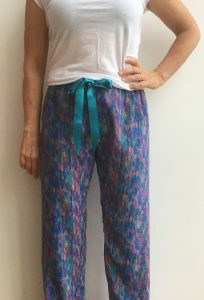 Light Liberty silk crepe pyjama bottoms/ lounge pants in abstract design. 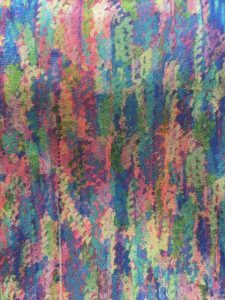 Colours include blues, greens and pink.